Celebrity makeup artist Sam Fine has returned to CoverGirl as an ambassador of pretty — and he's going to teach us all his best beauty tricks. 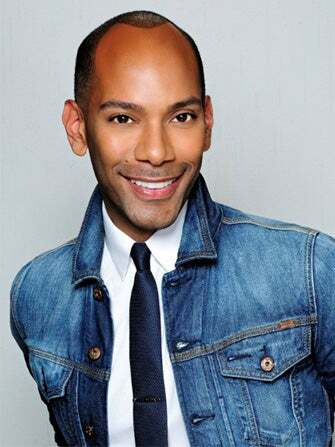 While Fine is best known for his expertise in creating beauty looks for women of color, his 20 years in the beauty business means that he has more than enough cosmetics know-how to solve anyone's biggest beauty conundrums. In the coming weeks, Fine will be answering beauty questions, creating how-tos, and filming videos on Facebook under CoverGirl's Beauty Q's tab. Tune in to get all of Fine's best tips for how the industry's prettiest ladies get primped — if the likes of Queen Latifah, Vanessa Williams, and Tyra Banks sing his praises, you know he's got to be good.